My first home away from home was a one bedroom apartment while I was going to college. It wasn’t until I was 31 years old that I bought my first house, a 3 bedroom bungalow. And from there things just started to accumulate. You know the old story, buy house, accumulate stuff, sell house, move, accumulate more stuff, etcetera, etcetera. About 10 years ago the company I worked for asked me to move overseas to work on a contract they had. I arrived there thinking I was only staying for 3 months so I found a nice small local hotel to stay in. My room was about 12 by 15 feet, with a tiny TV, a small bathroom, a desk, and a tiny shelving unit for all of my clothes. All I brought with me at that time was my laptop and 2 suitcases of clothes. Well the contract went so well that 3 months turned into 6 months and then 6 months turned into 14 months. I lived in that small hotel room for 14 months, and you know what, I didn’t miss any of my things\stuff from home. I was completely comfortable with what I had. I actually felt free. I had so little maintenance to worry about and so much free time to enjoy myself. Grant it I didn’t need to clean my room, but if I had, it would have only taken me about 15 minutes. What I learned during those 14 months was that I really enjoyed living a minimalist lifestyle. As I said, I didn’t miss a thing. A few years ago I saw a tiny house online. When I first saw these tiny houses I was fascinated by them. I had to learn more about them. I could truly see my husband and myself happily living in one of these. 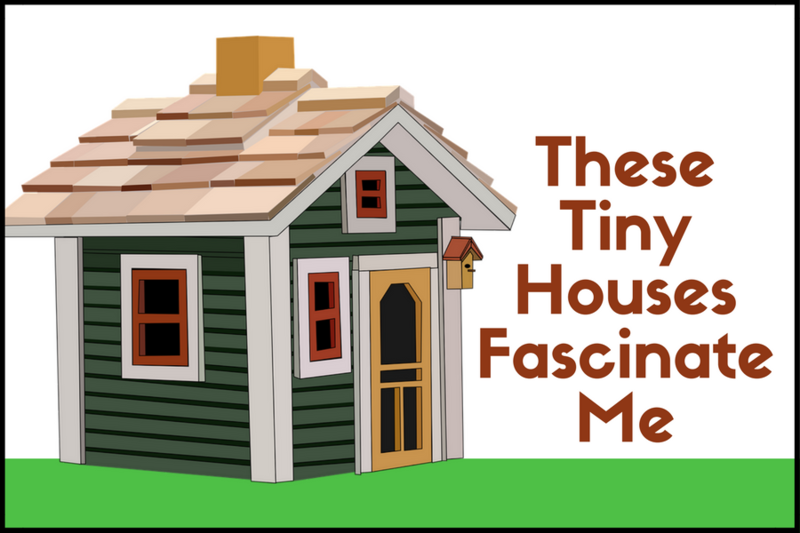 I discovered that while a lot of people are finding ways to build their own tiny house, many builders have begun building tiny houses as well. This is one of the tiny houses that I find fascinating because it was built by a single mom with very little money. She did much of the work herself. I love her attitude! Watch Lulu as she walks you through her home and shares her personal story with you. And check out the hot water heater that she installed. As Lulu says, “when you don’t have money you just need to be creative”. Her story is a true example of how people really do not need a lot of space and a lot of stuff to truly be happy. One of the things that I would definitely look for if my husband and I were to ever build one of these would be to make sure that it was in a rural location like Lulu’s. And it would have to be somewhere with year-round mild weather so that the living space could be expanded to the outdoors. If we built one here, even on some rural property, I think we would feel very cramped and would most likely end up with cabin fever, because for 8 months out of the year we would be stuck inside due to the cold wintery weather. When I first watched this very interesting video Johnny was living in Hawaii mortgage free. He was growing his own food and enjoyed living each moment of his life. Towards the end of the video he talks about financial issues such as how so many people take out a 25 or 30 year mortgage on their house but never really pay it off because they get stuck in the re-financing loop so that they can remodel their kitchen, upgrade their bathrooms, etc. Which is true for many people, isn’t it? Would you be happy to live mortgage free? Would you be happy to live in the tiny house that Johnny is living in and planning to retire in? This family suddenly found themselves with huge financial issues several years ago. Debra and her family lived in a nearly 2000 square foot home on an acre and a half of land. Then her husband lost his job and they began to work 4 jobs between them to pay the mortgage, until one day when they remembered they had a choice. They sold everything they had and they built a 320 square foot home for them and their son to live in, and they even have plenty of room for guests. They are mortgage free now and happily operate their own small business. Debra’s special message is to focus on what you do have instead of what you don’t have. Take a look at how they all fit into this tiny house. 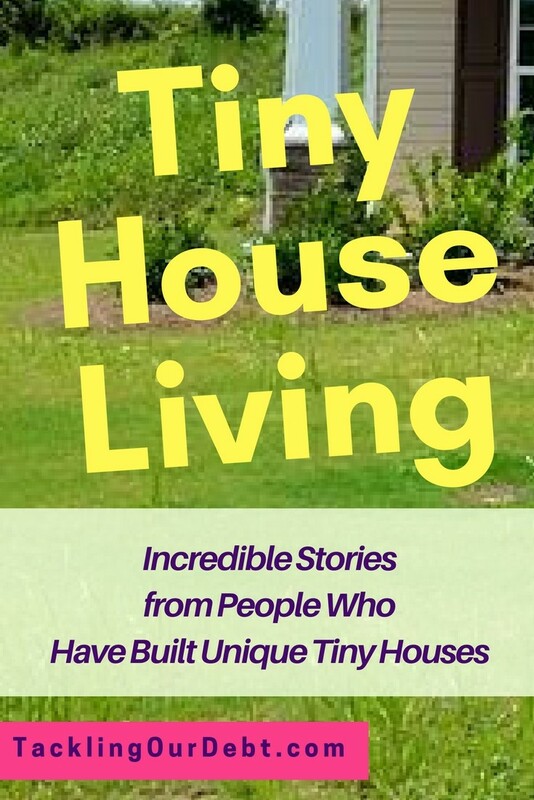 Each of these tiny house stories are very touching and inspirational. They demonstrate that we do have choices and that life is what we make it. Could you ever see yourself living in a tiny house one day?